The Minister for Agriculture, Food and the Marine, Michael Creed TD, has today announced the launch of the €20m Ireland AgTech Fund (IAF). 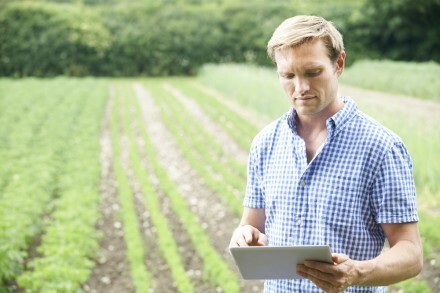 A partnership between the Ireland Strategic Investment Fund (ISIF) and California-based Finistere Ventures, a global AgTech venture capital firm, the IAF will invest in AgTech startups that can generate significant economic impact in the Irish Agriculture and Food sectors. Finistere Ventures will open an office in Dublin to accelerate its investment and market penetration in Ireland and in the EU. Kieran Furlong will head the new office and will source investment opportunities in the country, attract entrepreneurs to AgTech and identify promising technologies emerging from a wide range of Irish research institutions. A native of Co Wexford, Mr. Furlong was previously Finistere’s entrepreneur-in-residence, based in California, and brings a wealth of international experience from large chemicals companies and biotech/cleantech startups. He earned a degree in chemical engineering from University College Dublin, Ireland and an MBA from the Graduate School of Business at Stanford University.